Whole house fans are often confused with attic fans. While they may share some similarities and can have an enormous effect on a home, both serve different purposes. Attic fans are installed either on a gable vent or through the roof. Their purpose is to ventilate and exhaust the air inside the attic directly outside. Even if the temperature outside is hot, this air movement can help immensely to cool the attic. Attic ventilation is crucial to homeowners because attics can act like an oven on top of your home, constantly reheating the living space. When mid-summer comes around a typical attic can reach temperatures of over 140 degrees! In a two-story home, this heat can make the top floor unbearable! 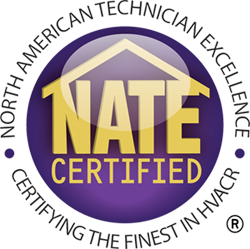 For this reason, an attic fan alone can help homeowners feel more comfortable at home. Whole house fans are also installed in the attic, but they are not attached directly to a vent. Instead, a whole house fan brings the fresh air through the open windows in the home and blows that air into the attic. The attic is then pressurized and then exhausted out the attic vents. The purpose of the whole house fan is to cool down the actual living space of the home, not just the attic. For this reason, whole house fans are meant to be run when the outside temperature is cooler than the air inside the home. Attic fans & whole house fans each help with home ventilation, but serve different purposes. When combined, however, they form a perfect union. A QuietCool whole house fan can be run from early evening to early morning, effectively cooling the structure of your home using the cool outside air. 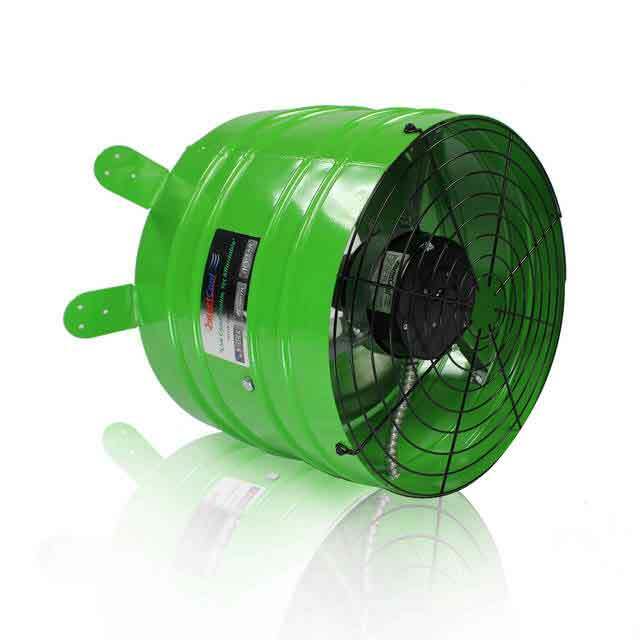 When the day begins and temperatures rise, the whole house fan should be turned off, and once the attic begins to heat up, the QuietCool attic fan kicks on and helps keep the attic cool all day long. 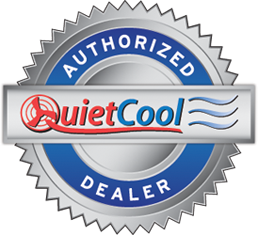 QuietCool can offer you 24/7 coverage, helping you keep your A/C costs down, and your living space comfortable!